the best that manufactured home living has to offer. sites in Phase III, we have what you're looking for. 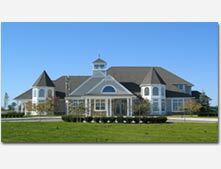 If affordable country living is what your looking for, then Burkhart Ridge is the community for you. 133, freeway access couldn’t be simpler. With the Tanger Outlet Shops just across I-96, shopping couldn’t be more convenient. © Burkhart Road Associates L.L.C.